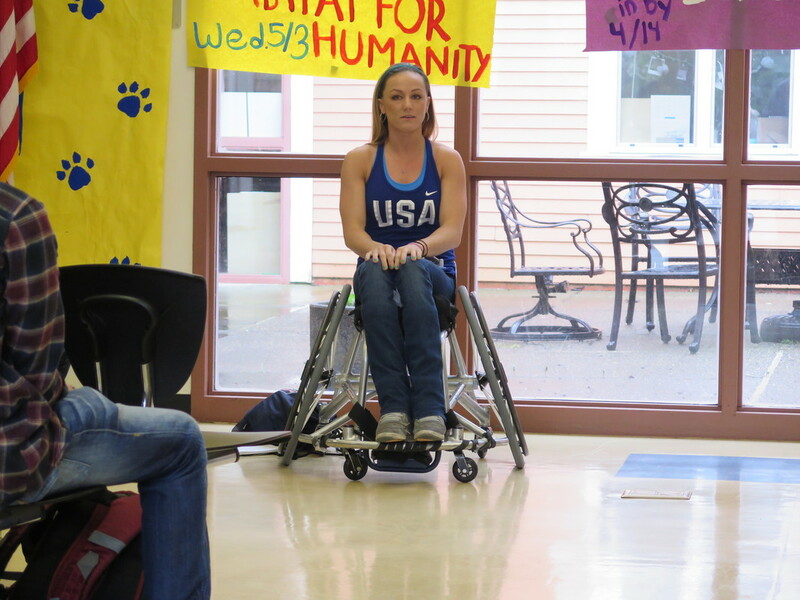 Yesterday, Peninsula High graduate from the class of 2008 and former Olympian, Megan Blunk visited and spoke to Henderson Bay. 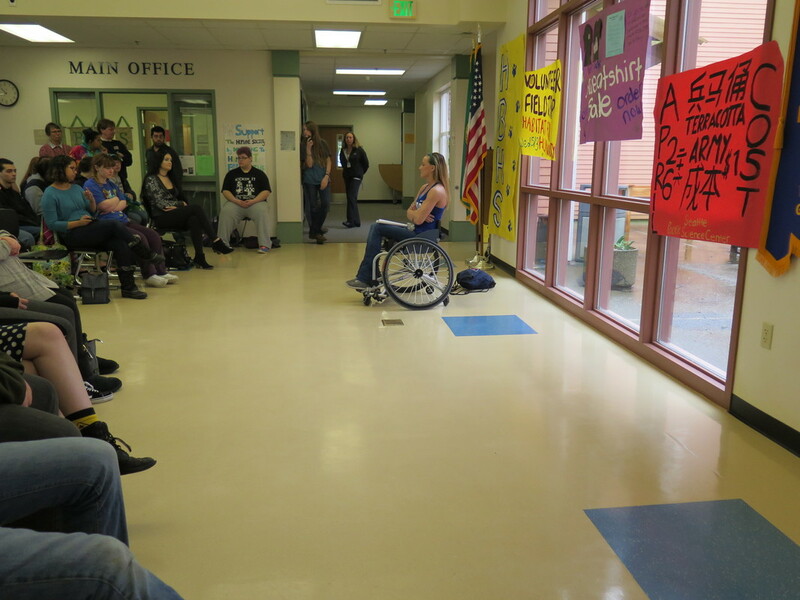 Megan’s story was both touching and motivational. The way she conveyed and delivered her story was outstanding and amazing! Not only was she down to earth and funny, she was honest with everyone in the room and didn’t sugarcoat a single thing from her story. Megan is a prime example of overcoming adversity. Everything that she has been through and experienced in the short span of her life astounds me and even helps in knowing that there is light at the end of the tunnel on the cloudiest of days when there is no sun. Blunk has multiple accomplishments under her belt. 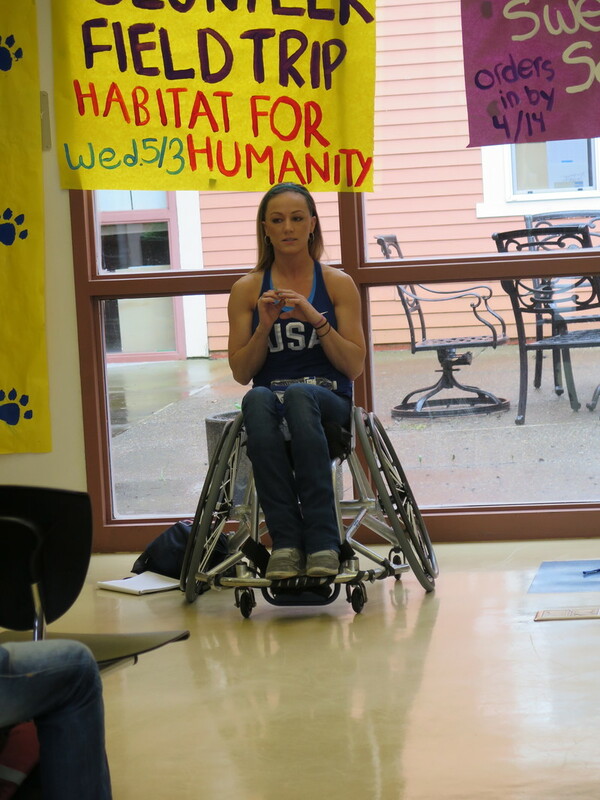 She competed in the 2016 Rio paralympics and even visited the white house after competing in Rio. She also coaches a team called “Team USA Wheelchair Basketball.” Megan is studying psychology on a scholarship. Her career goal is to be a counselor for individuals that have been injured or for those that are living with depression. I know that whatever this girl sets her mind to, she will be able to without a doubt get it done! On behalf of Henderson Bay, thank you for presenting Megan!